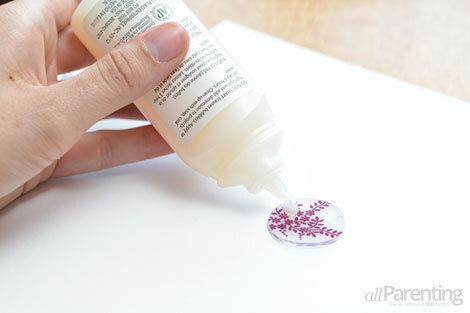 Shrinky Dinks are a popular craft for kids, but now moms can play too! 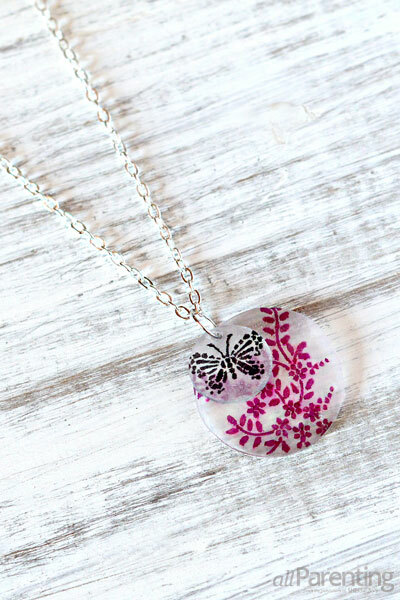 With a little creativity, you can whip up a cute Shrinky Dinks necklace to match your favorite outfit. 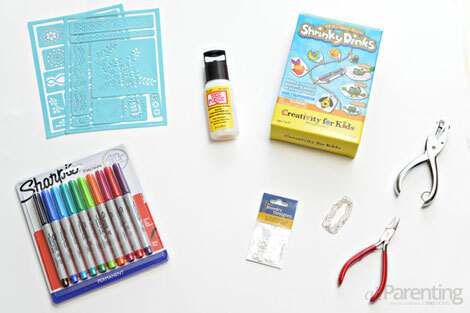 Shrinky Dinks are a classic childhood craft, and a great way for kids to turn their drawings into wearable art but Shrinky Dinks aren't just for kids anymore! Now moms can DIY their own custom jewelry to match any style. 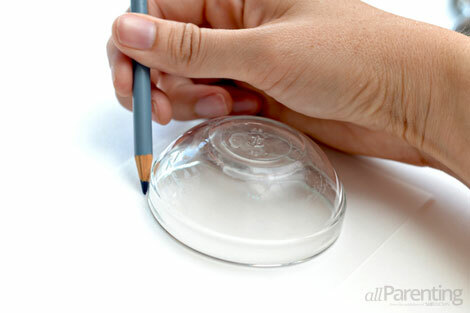 Grab a glass or small dish from the pantry, and trace around it with a pencil to make the circle shape out of the Shrinky Dinks for the necklace. Trace and cut out one large circle and one small circle. 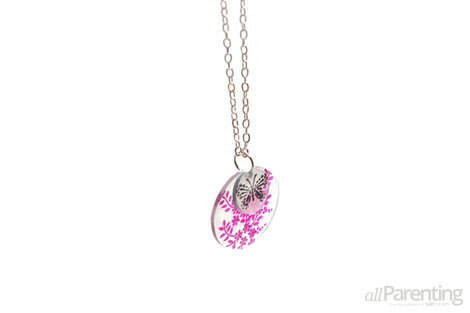 The Shrinky Dinks will shrink to approximately 30 percent of their original size, so be sure to make the circles larger than you want the necklace to be. 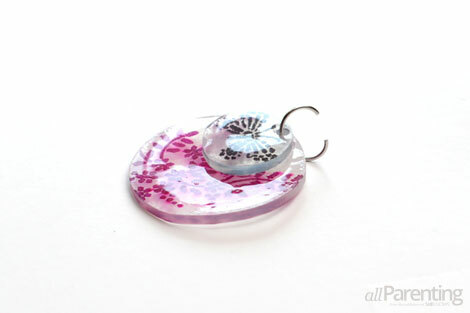 The Shrinky Dinks have a rough side and a smooth side. 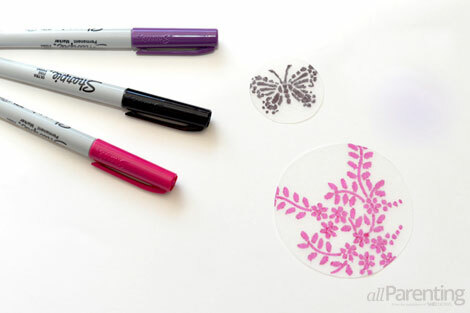 With the rough side up, lay the adhesive stencil over the Shrinky Dinks, and then start filling in the spaces of the stencil with the Sharpie. Stencil a drawing on the small circle as well. 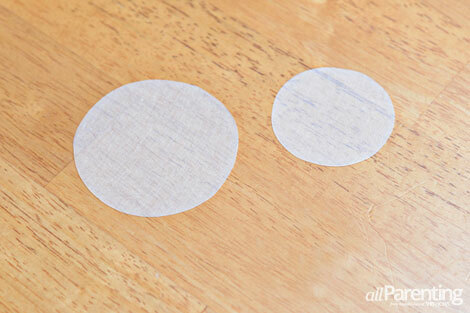 The marker may bleed a bit as you stencil, but once the plastic shrinks, it will no longer be noticeable. Be sure to punch a hole at the top of the Shrinky Dinks before you bake it! Once you shrink it, it will be too late to put a hole in it. Preheat your oven to 350 degrees F. Lay the Shrinky Dinks out on a piece of foil, and place the foil on top of a cookie sheet. The Shrinky Dinks instructions say to bake the necklace for one to three minutes, but I found that I needed to bake mine for five to seven minutes. 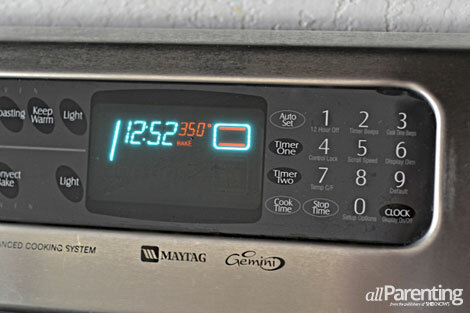 Just watch it closely as oven times will vary. The Shrinky Dinks will shrink and curl in the oven. Once they are lying flat again, it's time to remove them. 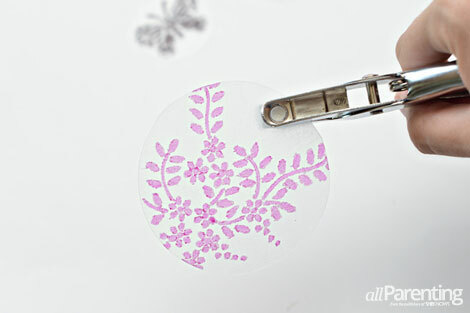 Allow the Shrinky Dinks to cool, and then cover the surface of the plastic with Mod Podge Dimensional Magic. Let the Mod Podge dry for four to six hours before handling it again. Use the jewelry pliers to pry the jump ring open, and then feed the two circles onto the ring. Close the ring up again with the pliers. Thread the charm onto your necklace chain, and then your Shrinky Dinks necklace is ready to wear!